Israeli government accused the program of being state-sponsored "incitement"
ISTANBUL, Turkey (CNN) -- Turkey's foreign minister denied any government link to a controversial historical drama being broadcast on Turkey's state television network. Israel has been widely criticized for its offensive in the Gaza Strip earlier this year. The denial comes after the Israeli government accused the program of being state-sponsored "incitement." "As far as I understand, the series is produced by a private company. TRT (Turkish Radio and Television Corp.) is an independent organization after all," Foreign Minister Ahmet Davutoglu said during a brief appearance before journalists at Ankara airport. "This is a matter to be evaluated entirely as part of their broadcast policies. Turkey does not have censorship," he added in statements broadcast by the private channel CNN Turk. "The Foreign Ministry is not a consulting institution for TV series." This week, the Israeli government summoned a Turkish diplomat to complain about the series named "Separation: Palestine in Love and War." Israel's foreign minister denounced the program, saying it "constitutes the most serious level of incitement, and it is being done with state sponsorship." One scene in the program shows an actor dressed as an Israeli soldier stalking and shooting an unarmed Palestinian girl. In an interview with CNN, a producer of "Separation," rejected the Israeli criticism. Selcuk Cobanoglu of Cagla Productions instead fired back, calling on Israel to look at the bloody death toll of its military offensive into the Gaza Strip early this year. "They accuse us with provocation. There were 300 children among the civilians killed in January and February," said Cobonaoglu. "Make a collection of the actual footage taken from the news bulletins especially from January and February, and those pictures would show worse than our series. Israel made the whole world watch these more violent images... we just made a snapshot of these images." One Turkish lawmaker has suggested the program is an effort by a private production company contracted by TRT to make money off of anti-Israeli sentiment in Turkey. Turkish officials have been blunt about their anger at Israel over its military offensive into the Gaza Strip last December and January. 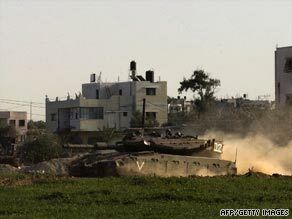 More than 1,000 Palestinians and 13 Israelis were killed in the battle. This week, joint air force exercises in Turkey were "postponed indefinitely" after the Turks excluded Israel from the maneuvers. "We hope the situation in Gaza will be improved," Davutoglu said in an exclusive interview with CNN last Sunday. "That will create a new atmosphere in Turkish-Israeli relations." For the past decade, Turkey has been Israel's closest Muslim ally in the Middle East. The two countries have had close military, intelligence and economic ties. But the relationship has suffered this year. "It would not be wrong to say Turkish-Israeli relations have become much more fragile," said Suat Kiniklioglu, a Turkish lawmaker from the ruling Justice and Development (AKP) party. Meanwhile, Turkey has strengthened its ties with Arab neighbors Syria and Iraq. Turkey's prime minister visited Baghdad yesterday, where he signed more than 40 cooperation agreements with the Iraqi government. Earlier this week, Turkey's foreign minister visited Syria for a border ceremony announcing the elimination of visa restrictions between Syria and Turkey.